We’d like to know! 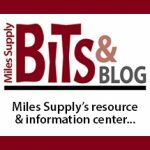 Why do you buy from Miles Supply? • How long have you been our customer? • How are we different? • Do you have a “customer service” story? • How have we gone the extra mile for you? • What products do you like? • Do you have a favorite sales person/staff and why? • How can we help in the future? All entries in June were entered in the drawing. THANK YOU FOR ALL OF YOUR RESPONSES. 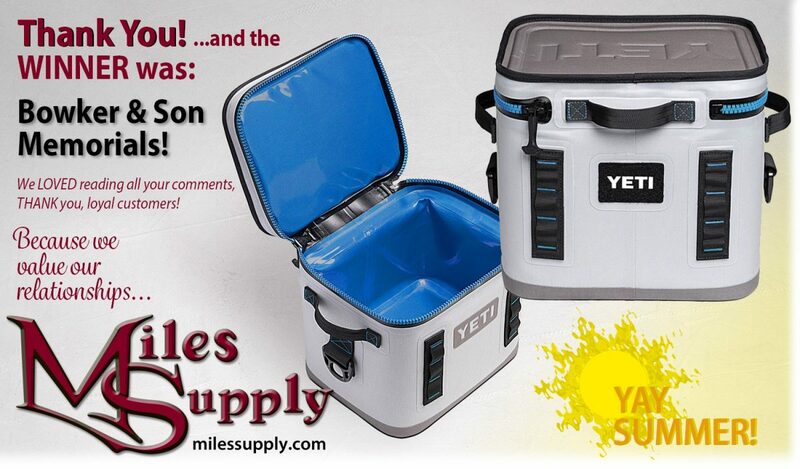 Winner of the YETI Hopper Flip 12 is Keith from Bowker and Son Memorials! – see a picture on Facebook. NOTE: We were going to have another Give Away in September but in light of the many hurricanes, Miles Supply has opted for all Give-Away funds to go to disaster relief for the rest of 2017.